Tristen lay on the bed, Alice had no clue what had happened to him, he had been fine when they had left home but halfway to her mothers he’d gotten really sick. Placing the cup of water down next to bed she couldn’t help but feel disappointed, she had so wanted to introduce him to everyone. “How are you feeling?” she asked, softly noticing him opening his eye’s. “I feel awful” he admitted. Alice stirred, it had not been a fight. In a fight she might have landed a blow it had barely more than a massacre. She didn’t remember much beyond lunging towards the fury but judging by the pain she felt she’d been torn to pieces. Alice squeezed Tristen’s hand tightly as they breached the circle of the camp fire, all eye’s watching her she knew she’d been summoned because something was wrong. She had heard Duncan arriving on the wagon shouting and causing a fuss. She had tried to go out to him but Heather had stopped her saying she would find out what was wrong. “What’s going on?” she dared asked, looking around the circle everyone was here.. well almost everyone, only Kaitlyn and her father where missing. Spotting Duncan in the crowd a sudden panic over whelmed her. Duncan had left with her father … if he was back and her father was not? What did that mean? “Your on heat” Tristen mused, kissing her forehead as the pair lay together on her bed. It was a rare thing they could be together so openly, so intimately on their own. Ever since she had announced the couples relationship her father and Kaitlyn had watched like hawks. “I don’t want you talking to him anymore” Duncan demanded storming across the clearing and grabbing Alice roughly by the arms. 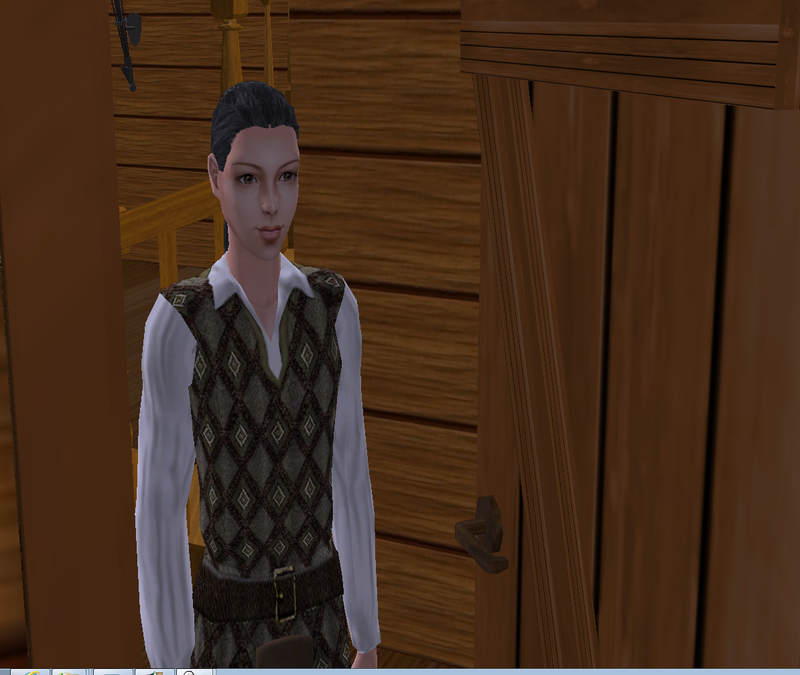 Duncan walked into Alices room without thinking. Alice sat quietly on the large rock near the pond, it had been an exhausting few weeks but Farid had now gone home and things where beginning to return to normality. I didn’t matter how much she told herself things would settle down, she felt strange like a hole had been torn right though her middle. Please take a look and let me know if it's useful. It's found on the right hand side with the rest of the links. If your new and are wondering where the best place to jump in is. Try following the Storyline's along the top one at a time it will lead you though the lives of the most important characters and story's in Grimstead in small bite sized chunks. To follow the current plots I'd suggest starting with those to do with The Vaux's and Kaitlyn Silverhand. morgaine2005 on Dawn gets a friend.